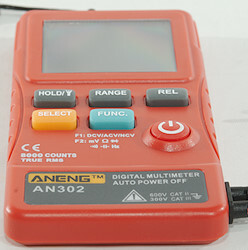 The brand Aneng has a lot of cheap multimeters, most of them fairly good. 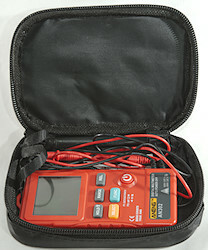 This meter is a pocket meter, except that is missing a compact pouch for pocket use. 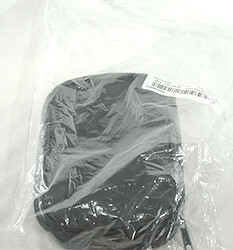 I got the meter in the usual black plastic bag with some protective wrapping around the pouch. The pouch with the meter in it, it will fit in a large pocket. I got the following pieces: the DMM, a pouch, a lanyard and a instruction sheet. The probes a small and without tip cover, that means CAT II. They are marked 250V and the meter is marked 600V, this do not really match up with non-replaceable probes. The meter do not have a range switch, only buttons, this means it will never slide around when selecting range. But the buttons can get stuck, I also had the FUNC switch non-working a couple of times, but could get it working again without opening the meter. 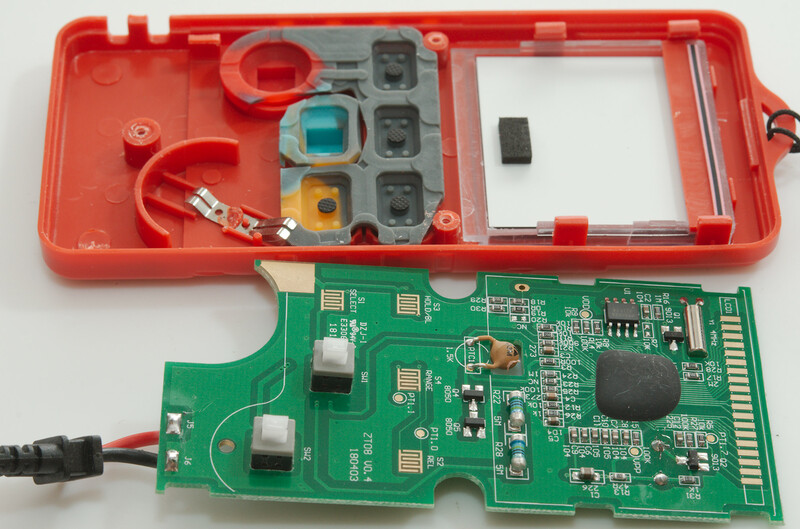 Replacement of battery requires removal of small 3 self tappers, it will probably limit the number of times it is possible to replace the battery. The meter do not have background light, instead it is a flashlight. 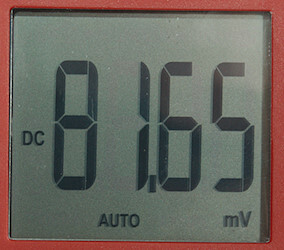 The above picture shows all the segments on the display, most are used by this meter. The NCV is the usual bars, the buzzer and the flashlight. 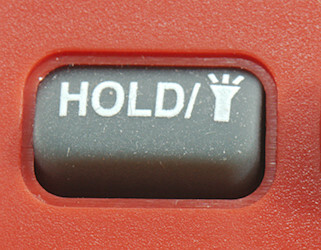 Hold: Freezes the display, hold down to turn flashlight on/off. Select (Yellow): Select ranges, see below. Func (Blue): Select between the two modes, there is no indication on what mode is selected, this must be inferred based on selected range. 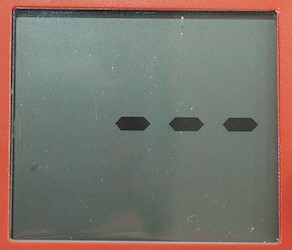 The text on the meter is missing frequency in mode 1. At 100mVrms input frequency range is from 1Hz to 5.6MHz in mV mode. At 1Vrms input frequency range can be stretched to 6.2MHz in mV mode. At 1Vrms input frequency range is from 1Hz to 30kHz (Above that the display gets unstable) in V mode. 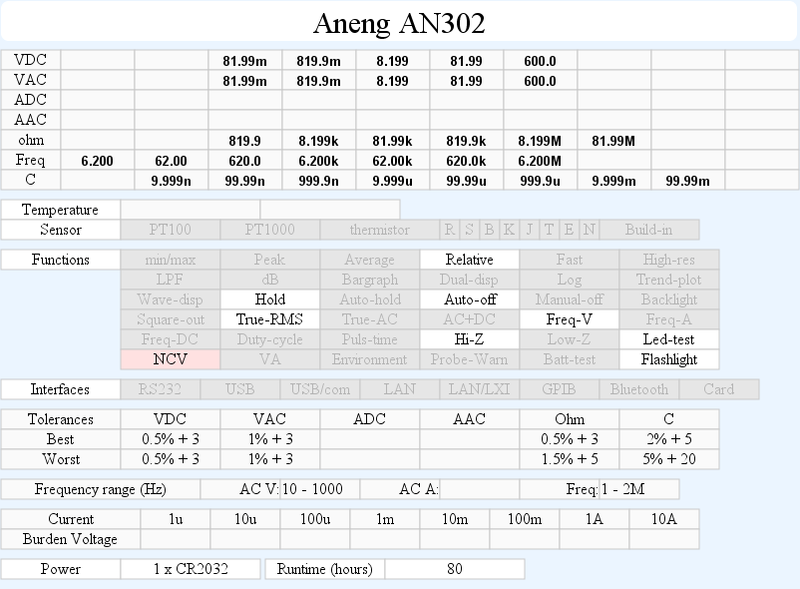 At 5Vrms input frequency range can be stretched to 80kHz in V mode. 1 VAC is 5% down at 2.1kHz (RMS will not work at the frequency). 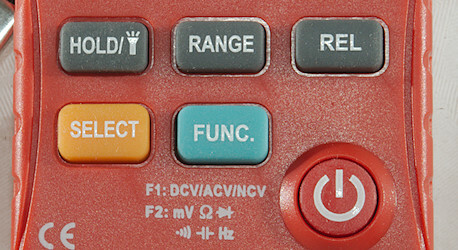 Frequency input requires a zero crossing in both mV and V mode. V frequency input is 10..11Mohm. Continuity is quick (About 30ms, but mostly 5ms). 70000uF takes about 12 seconds to measure. 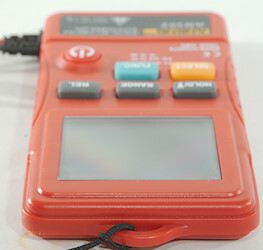 Current consumption of meter is 1.5 to 1.9mA depending on range with flashlight it is up to 15mA. Meter works down to 2.2V where it turns off, battery symbol shows at 2.4V. Reading do not change with battery voltage. Flashlight only works down to about 2.6V where it is fairly dim. Flashlight will not turn off automatic, but will turn off when meter automatic turns off. Weight is 74g without accessories, but battery. Size is 119 x 63 x 13mm width includes bent strain relief for probes. Probe wire is soft, fairly thin and 70cm long. A look at the capacitance measurement waveform for 1uF. 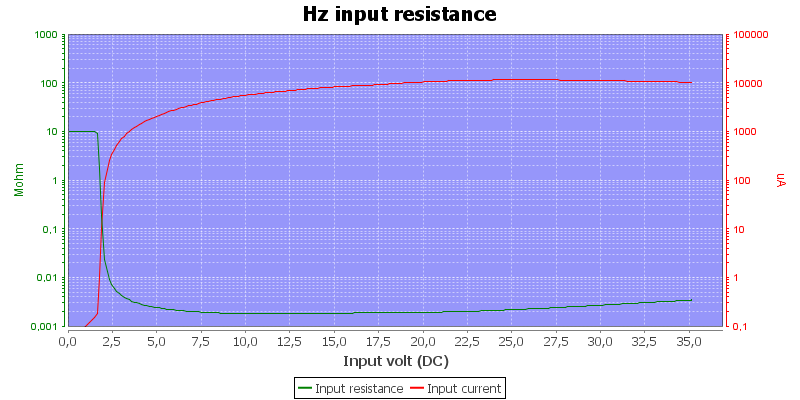 Input resistance in mV frequency mode depends on input voltage. 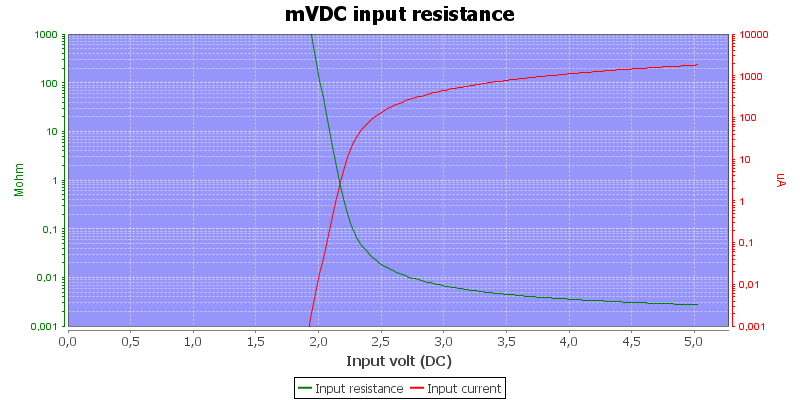 Input resistance in mV DC mode, in AC there is a 10Mohm in parallel. AC input cannot handle large DC offset. 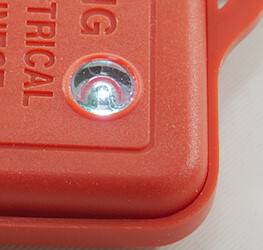 NCV is way to sensitive, just about any wire will trigger it, it do not need to carry voltage. 3 screws and the back could be removed. The lid has one connection for the battery holder, the buzzer that is heat staked to it and a lens for the flashlight. 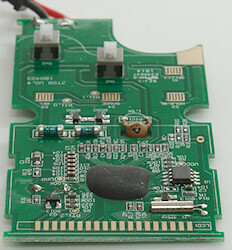 The circuit board is mounted with four clips, but the did not hold it fairly well and it was very easy to take out. 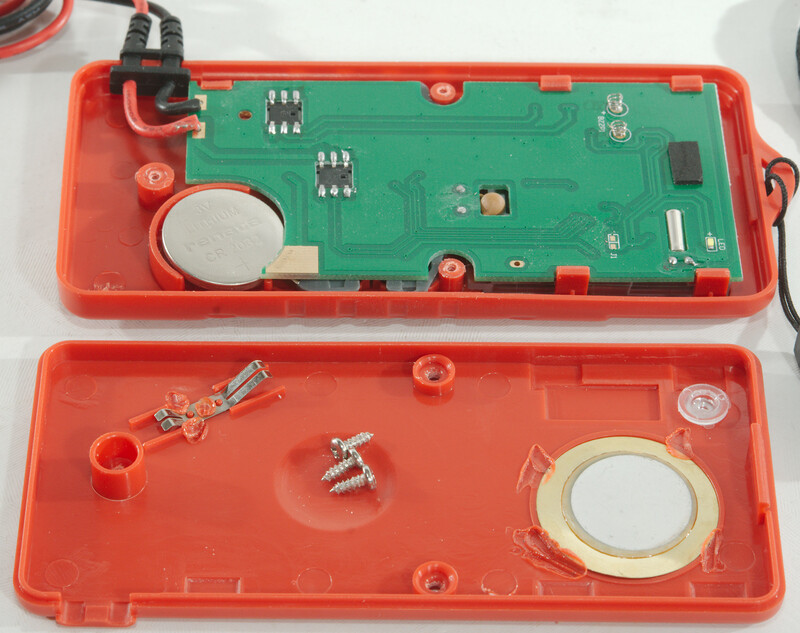 The top has one connection for the battery holder, the rubber for the buttons and the LCD display. The rubber looks a bit messy, I wonder if the separate blue button is due to a repair or if it is made this way (In a teardown I saw all the buttons was one piece, i.e. it must be a repair). The input is always connected to the high ohmic input resistors (R22 & R28: 2x5Mohm), when ohm/mV/etc. mode is selected with SW1 the iput is also routed to the PTC (PTC1: 1.5kOhm) and a low ohmic input (R21: 900kOhm). The PTC has a transistor pair (Q4 & Q5) to handle over voltage. The NCV has 3 resistors (R18, R29, R30: 3x20Mohm) to tie it to ground. 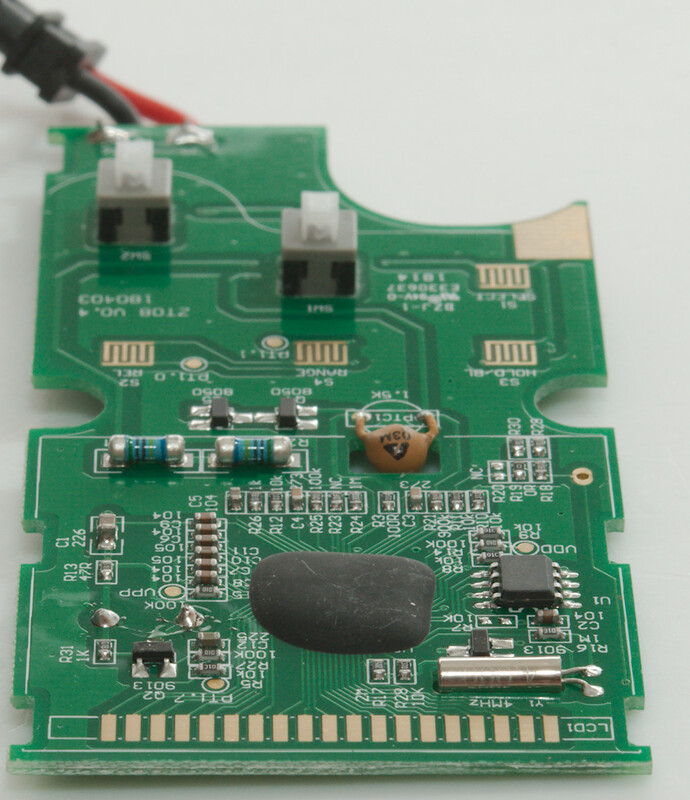 The main multimeter chip is behind the black blob and next to it is a EEPROM (U1: P24C02A) with calibration and mode setup. 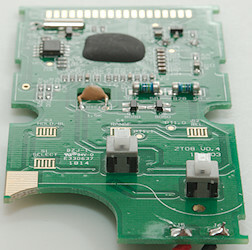 The two switches are soldered on this side, this will make them a bit sensitive to high pressure. The flashlight led is here and two springs for connection to the buzzer. 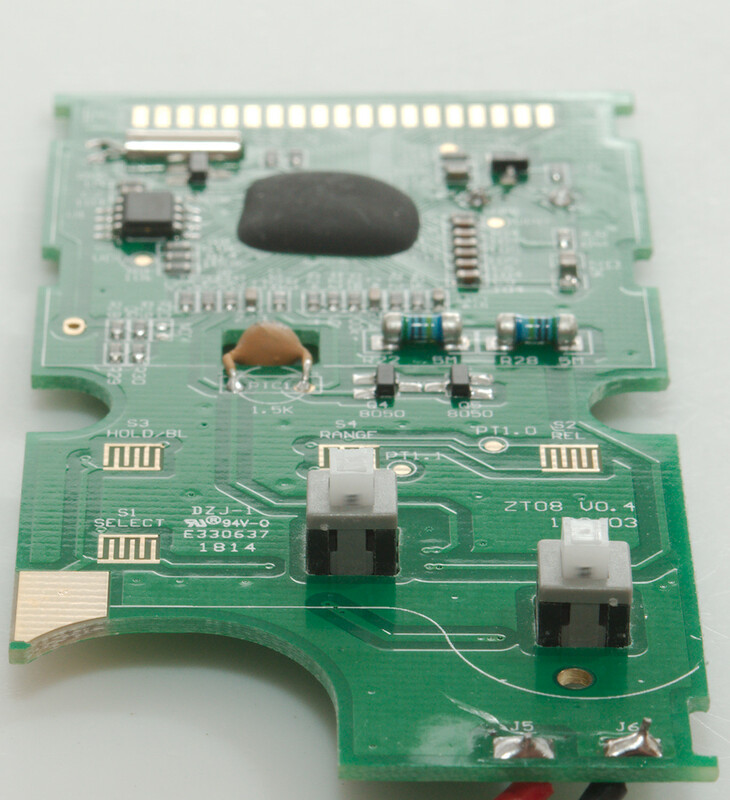 The switch will connect the centre pin to either top or bottom pin, separate for the two sides. As usual I do not believe the CAT rating, probes is marked 250V, meter is marked 600V and the input voltage goes to a small SMD resistor. 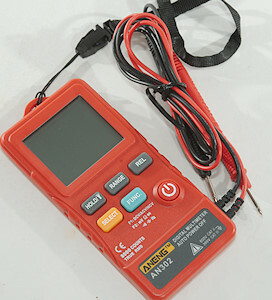 The meter has nearly all the function of larger meters, it is only missing current, this makes it a very universal pocket meter. 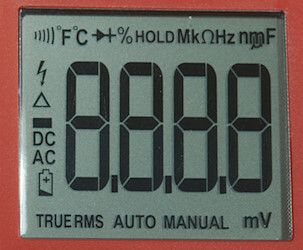 The mechanical quality for this meter is on the low side, very short self tapping screws when replacing battery and clips that are not very good at holding the circuit board. I do also miss a better "pouch" for pocket use.